Movie World has something for everyone, it is a world of fantasy and fun entertainment. 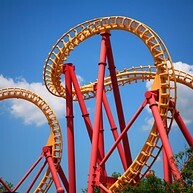 Here you will find thrilling rides like Superman Escape, a rollercoaster where you travel 100km/h in just two seconds. At Movie World you can also enjoy stunning shows and movie attractions. Be one of the first people to experience this new technology. 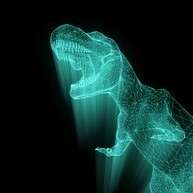 At Holoverse, you will be able to walk with dinosaurs, swim with dolphins and visit space. Choose from a variety of different experiences at the worlds first Hologram arcade. A day at Holoverse will be fun for the entire family. Learn how to fly at Australia's first indoor skydiving facility. This activity is fun and safe for all age groups (3 years old and over). Check out their website to find out about the different packages you can book. Take a mind-blowing journey at this futuristic, maze-like world of wonder. This multi-sensual environment is a favourite attraction among locals and tourist alike. It will transport you into another world with unique special effects and illusions. Infinity is definitely a fantastic out-of-this-world experience. Burleigh Head is a small national park, located on the Gold Coast in South East Queensland. Here you can climb the park’s highest point, an ancient volcano, to see the 20 kilometres of unbroken white beach stretching far into the distance – what a sight. The Q1 building is a popular destination for tourists and locals alike. The observation deck at levels 77 and 78 offer exceptional views in all directions. There is a museum, a weather station and a bar across two floors. Feel on top of the world and do not forget the camera. 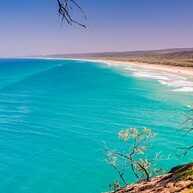 The tranquil beaches of the narrow and 20 km long South Stradbroke Island are a treat. 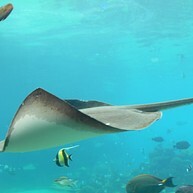 It is worth exploring the wildlife of the island on a guided kayaking tour. There are different tours available to suit your needs and preferences. The tourguides are experienced locals that are experts in their field. This national park is a peaceful safe hafen with picturesque settlements and a beautiful scenery with waterfalls, teahouses and arts and craft galleries. It is located inland from the coast and has various tours available for a daytrip that you will definitely remember. 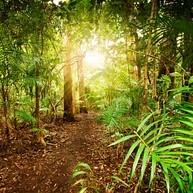 At Currumbin Wildlife Sanctuary you will find rainforest, lakes and native animals in a beautiful scenery. 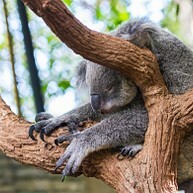 Observe tree kangaroos, koalas and birds from the elevated walkways and feel closer to nature. A trip to the sanctuary will be an adventure for the entire family. Check out the adrenaline shocks, the wildlife or fantasy rides at the Australian Outback Spectacular! Discover Dreamworld, David Fleays Wildlife Park, Paradise Country, Sea World, the Wet’n’Wild Water World and the White Water World. Broadwater Parklands provides a wide selection of recreational options that includes picnic, barbecue and promenade. Here you can also take a soothing bath or fish on the pier. For the children there is the Rockpools water playground, jumping pillows and a playground at the southern end of the park. If you are looking for that adrenaline rush then this might be something for you- skydiving! 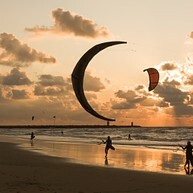 The big jump will take place somewhere near the Kirra beach where you eventually will land. Make sure to enjoy the beautiful and spectacular view of Gold Coast. 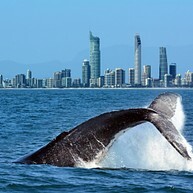 One of the best ways to explore the beautiful Gold Coast is by boat. With Bluewater Cruises you can enjoy lunch or romantic sunset dinner cruise. There is also the morning cruise with coffee that includes fun facts filled with history and famous people.